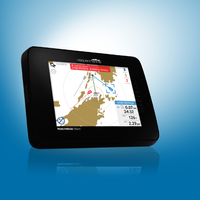 Vesper Marine, manufacturer of marine safety products, has announced the evolution of the world’s first and only touchscreen Class B AIS transponder with the introduction of the WatchMate Vision2.The Vision2 has a new look with a seamless black-bezel front panel and glossy black sides, designed to complement any helm or nav station. Vision2 features a highly responsive, easy to use capacitive touchscreen, allowing users to scroll through menus, zoom in and out, select vessels for additional details and navigation data, change alarm settings and more with the gentlest of touches. KVH Industries has updated its unique IP-MobileCastTM content delivery service for additional viewing flexibility and expanded content offerings. The new features are being rolled out in stages, with the first round of upgrades automatically delivered via over-the-air software updates for current subscribers. 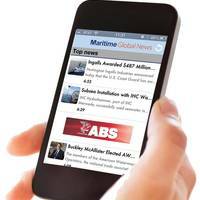 IP-MobileCast was developed by KVH and launched in 2014 as the first and only service to multicast movies, TV shows, daily news and sports, as well as operational data via satellite to vessels at sea. Press release - The ARC and ARC+ fleets, totalling almost 300 yachts, are preparing to set sail this month with the compact, innovative YB3 boat tracking and satellite communication system on board. Having provided YB3 to the ARC for boat tracking duties since 2009, YB Tracking is extending its support for the 2015 edition by enabling low-cost email and SMS messaging functionality on YB3 for the entire fleet. 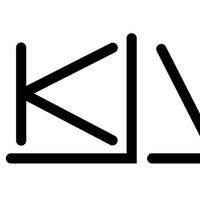 In addition it is providing free Facebook posts and sending of Tweets. 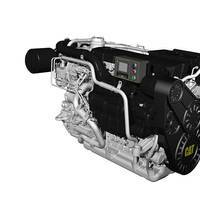 Finning Marine is showcasing the new Cat C8.7 and C12.9 diesel engines, along with the Tier III Cat C32 ACERT propulsion engine and remote monitoring tool at the Southampton Boat Show 2014. With a displacement of 8.7 and 12.9 litres respectively, the Cat C8.7 and C12.9 offer yacht manufacturers a broad array of horsepower ratings ranging from 650 to 1,000 mhp, with the latter making the C12.9 an industry leader in power density. In order to meet customers’ requirements, each engine will be offered in several different configurations; all will conform to Tier 3 emissions regulations. 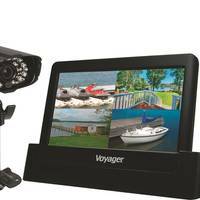 Voyager ToughCam’s new digital wireless surveillance system, PierView, provides owners with a way to protect key points on their property. The PierView system can simultaneously monitor up to four different areas such as a dock, equipment shed, hunting cabin or other areas with its expansive 1000 ft. viewing range. The system also has excellent night vision so the unit will work perfectly during the day or at night. Other key highlights to this system include email alert available with motion detection, built-in DVR, maximum 32G SD card allowable, waterproof and alarm clock. Need To find the right paint for your boat? Now there is an app for that. The Interlux Boat Paint Guide has gone digital with the launch of a free Interlux Paint Guide app for Apple IOS and Android smartphones and tablets, designed to make it easy to access Interlux product information and select the correct Interlux paint system. A Quick Reference Guide for detailed Interlux products information. Interlux products health & safety information. 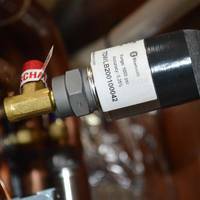 A store locator to find your nearest Interlux dealer by address, or your location. A paint calculator to estimate how much Interlux paint you will need for your boat. 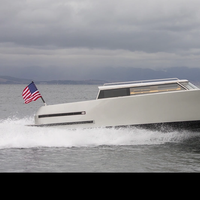 Marine audio products manufacturer Aquatic AV will feature two new products at the 2013 Marine Equipment Trade Show (METS), November 19-21 at Amsterdam RAI. 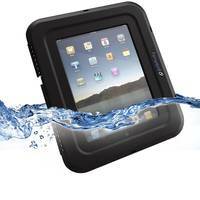 Aquatic AV DM-5 series IP65-rated waterproof digital media lockers are designed to protect even the new, larger smartphones from the elements. Three models are available. The premium model DM-5UBT (shown above) with Bluetooth for iPod and iPhone includes a wireless remote and USB connector. 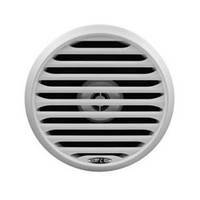 The new 6.5”Aquatic AV model AQ-SPK6.5-4L speaker delivers 100 watts (max)/50 watts (RMS) of powerful, clear sound. Astrium Services, global provider of satcom enabled solutions, will join e3 on its Monaco Yacht Show stand (QS85 – Darse Sud - Tente Climatisee) for the introduction of an enhanced portfolio of services for owners and operators of Super Yachts, based on Astrium’s established Pharostar VSAT solution. 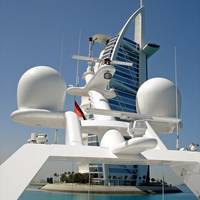 e3 Systems has chosen to become an Astrium Services specialist Partner for the Super Yacht market for Ku-band services. e3 Systems is a supplier of integrated communications, networking and advanced IT and TV solutions within the Super Yacht market. New a65/a67 WiFi versions support RayControl and RayRemote apps. 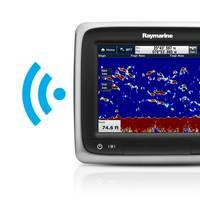 Following the launch of the new a-Series multifunction displays (MFDs), Raymarine has taken steps to expand a-Series functionality further with the addition of two new versions of the a65 and a67 complete with built-in Wi-Fi. 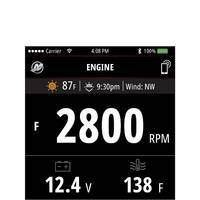 The compact a‐Series multifunction displays are already extremely versatile, offering boaters simple and quick access via Raymarine’s intuitive LightHouse user interface to navigation applications like GPS, sonar, radar and data.